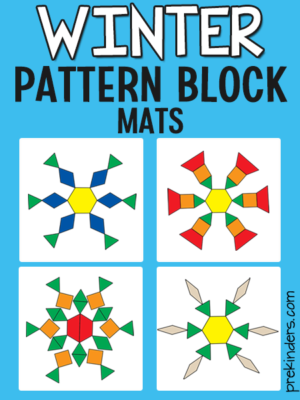 I made these pattern block mats using Photoshop. Each mat comes in color and blackline, depending on your preference. 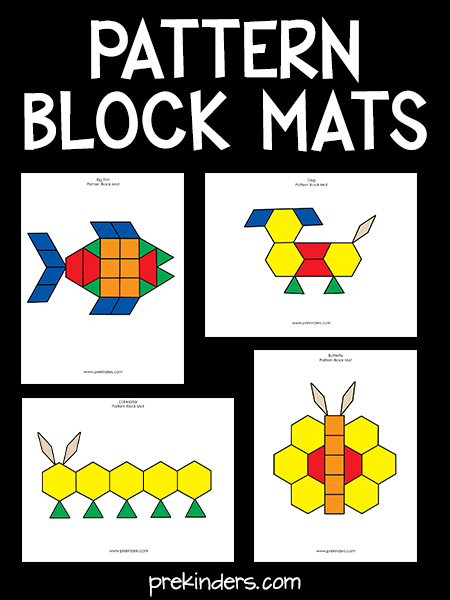 The blackline mats offer more of a challenge as children figure out which shape goes in the space. Pattern blocks teach children about shapes and geometry, as well as develop their visual discrimination skills. Click on the thumbnails to download and print the mats. Many people ask me what are pattern blocks or where can they buy them? They are small blocks, usually made of either wood or plastic, that are a common learning material in classrooms. Real pattern blocks are standard shapes and colors. A set always includes these shapes: green triangle, orange square, blue rhombus, beige thin rhombus, red trapezoid, and yellow hexagon. The squares are always orange, the triangles are always green, the hexagons are always yellow, etc. I have seen sets made “wrong” with different colors for the different shapes. Sets come in wood or plastic, and my personal preference is the wood. 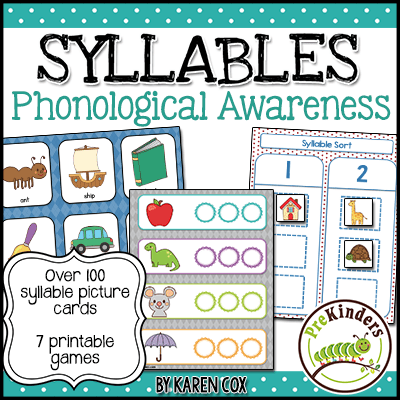 You can find them at Lakeshore, Learning Resources, and many other educational supply stores. You can also buy them through the link below. To make designs with pattern blocks, they should lay flat on the table (not stacked like regular blocks) and they should touch. 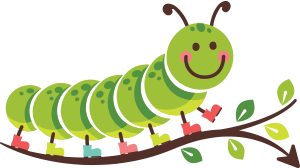 These mats are my own work: I came up with all of the designs for the animals and other items, and made the mats using Photoshop.